The Sawtooth Creek subdivision is a new home community Northwest Meridian, ID. These new Meridian homes for sale range in price from $367,800 to $559,000 with three to four bedrooms, two to 4.5 bathrooms, and 2,003 to 3,674 square feet of living space. Sawtooth Creek is located in a premier location just minutes from neighborhood schools and conveniences. Learn more about Sawtooth Creek real estate. Browse all New Homes in Meridian or New Subdivisions in Meridian ID. Homesites: This 39.76-acre community offers 98* building lots ranging in size from 0.18 acres (8,047 Sq. Ft.) up to 0.49 acres (21,498 Sq. Ft.). From N Linder Rd and W Ustick Rd, head North on Linder. Turn left (west) on W Monument St to the Sawtooth Creek subdivision. 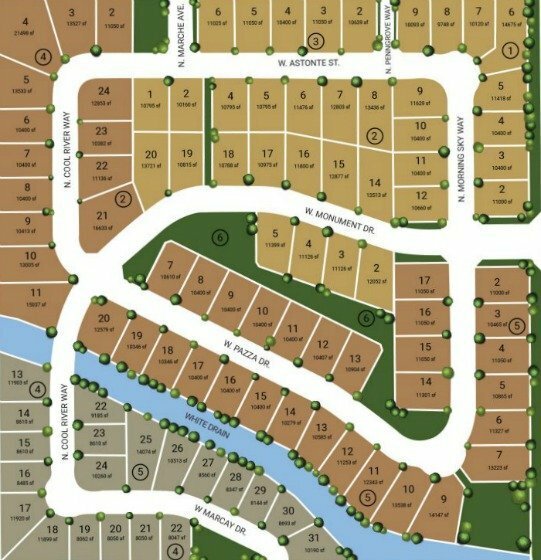 Sawtooth Creek Meridian phase 3 was just released and building lots are going fast. For detailed pricing and availability contact us online or call (208) 391-4466 today.